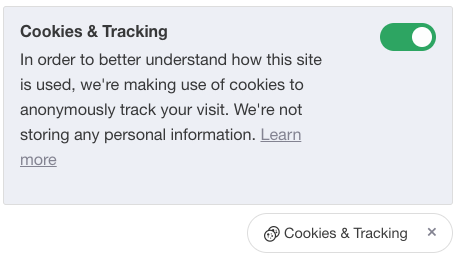 We released this week the Cookies & Tracking Control Panel that can be added to your Help Center in just a few clicks. No tracking will be performed unless explicit consent is given by the visitor. We also provide a way to ask for consent to everyone or just people from the European Union. 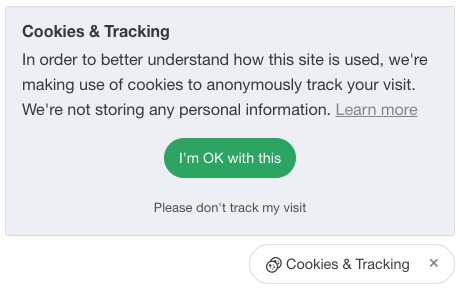 If you choose to only ask for consent to people from the EU, we'll do our best to geolocate each visitor and only show the prompt when necessary. You can learn about this, including on how to set it up, by reading our help article.